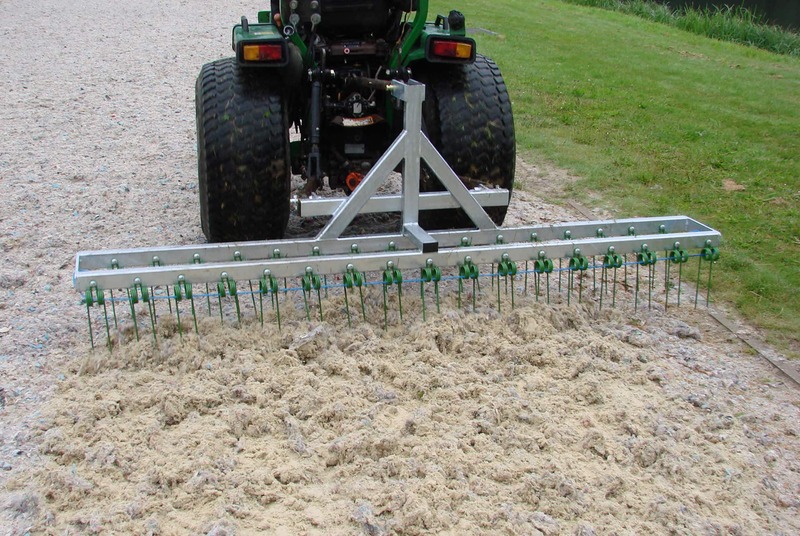 The RAYCAM™ Sportsfield Harrow is a tractor mounted implement for aggressive surface grooming. 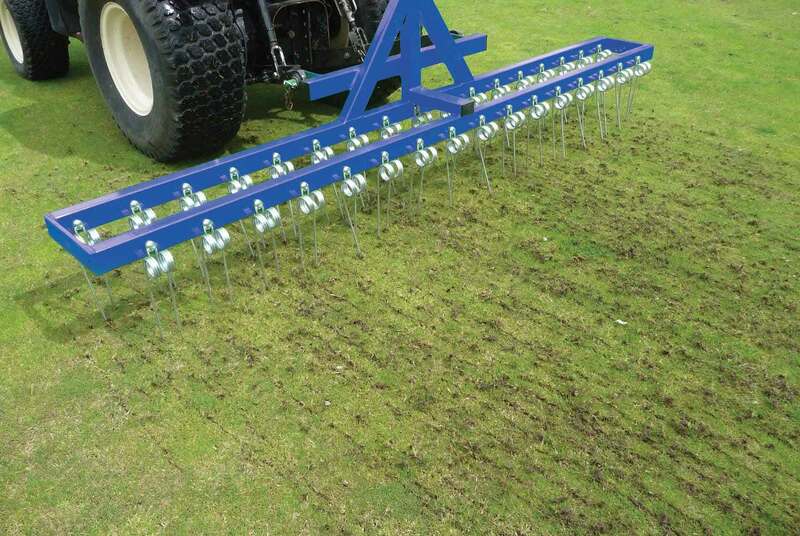 It can be used on turf, for standing prone grasses, dragging out dead or dying organic matter, or creating a tilth prior to seeding. 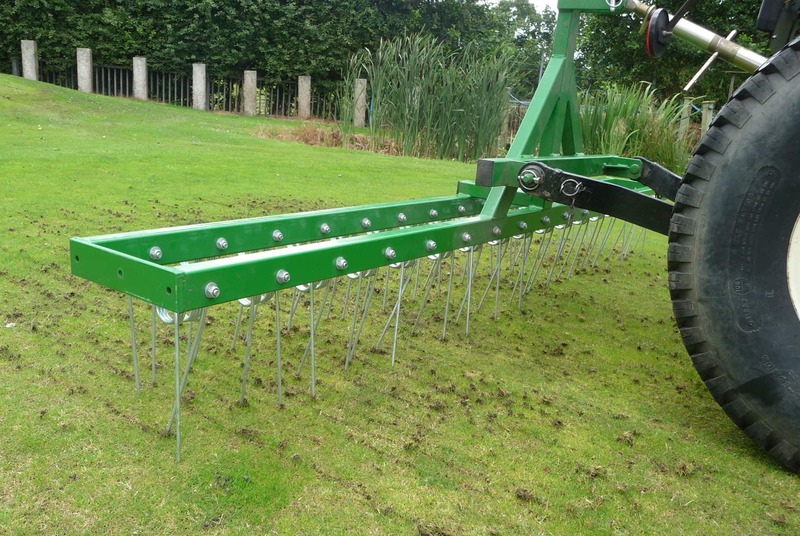 The Sportsfield Harrow also has an application for grooming on hard porous surfaces and is also ideal for gravel paths where regular use will prevent the accumulation of moss & algae. 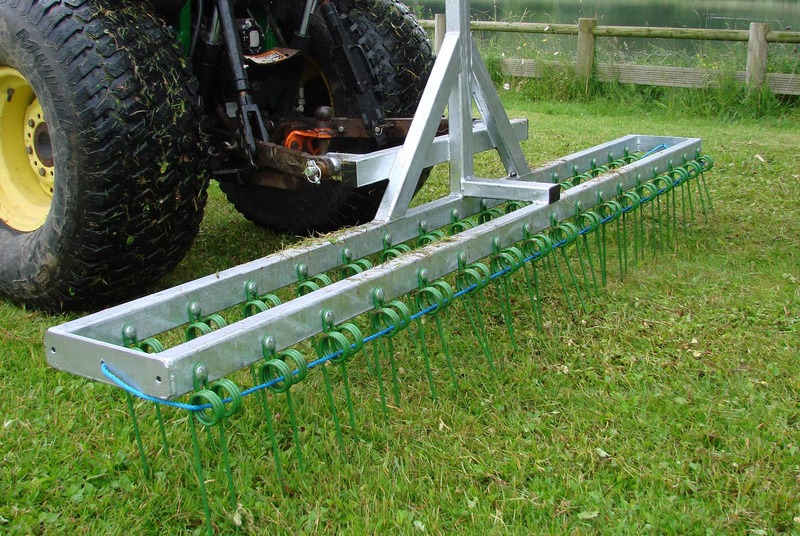 This 3-point linkage model can be mounted on all compact tractors of around 25hp and above.